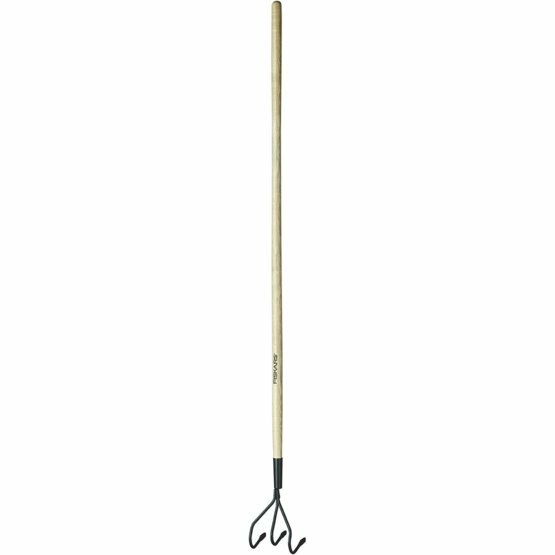 Fiskars Classic Cultivator is the perfect tool for cultivating soil and preparing a bed for seeding and planting. This cultivator is a beautiful, traditional tool with a shaft made from lacquered ash wood. Its blade is made of hardened carbon steel which cuts through even the most resistant soil and prepares the ground for planting bulbs or whatever else you have in mind to make your garden bloom.